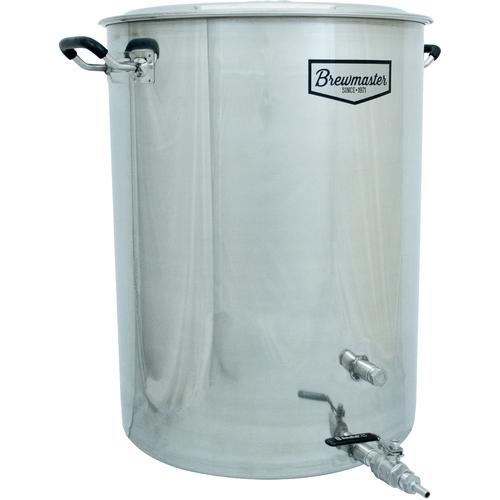 If you’re searching for a fully featured brew kettle but don't want to break the bank, the Brewmaster 25 Gallon Stainless Brew Kettle will certainly do the trick. 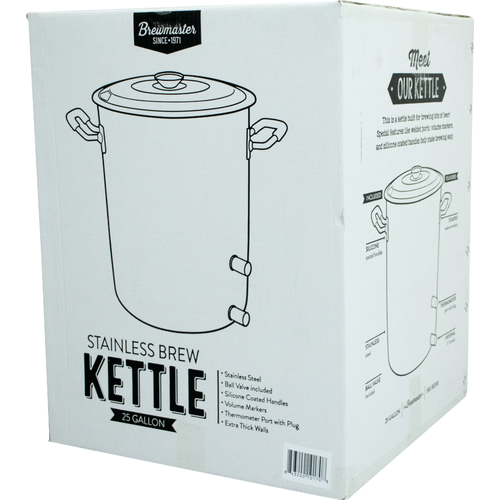 Made of 100 percent stainless steel and available for a truly amazing price, this reliable brew kettle is perfect for first-time brewers and experienced home brewers alike. 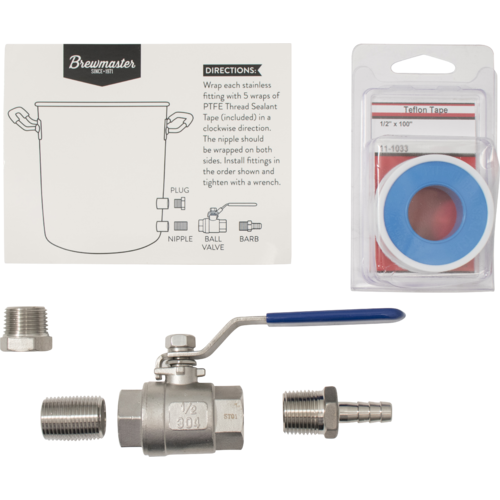 Two ½-inch couplers are welded to the side of the kettle, and the bottom coupler can even be threaded on the inside of the kettle to use with a diverter or a kettle tube screen. These kettles are upgraded with Silicone Grip Handles and Stamped volume markers on the inside, making brew day that much easier. Approximate Internal Dimensions 23.5" tall 17.75" wide. 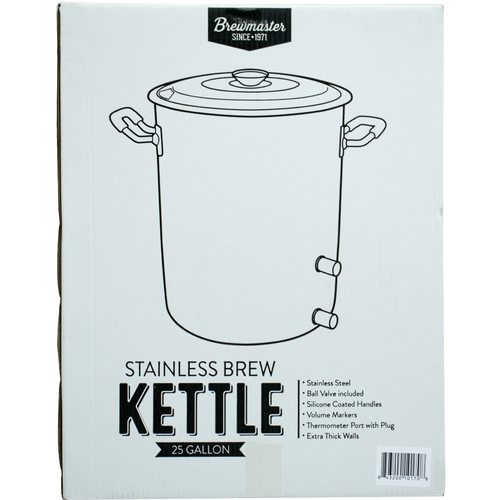 Is this kettle 304 stainless? BEST ANSWER: This kettle is made from 201 stainless steel. 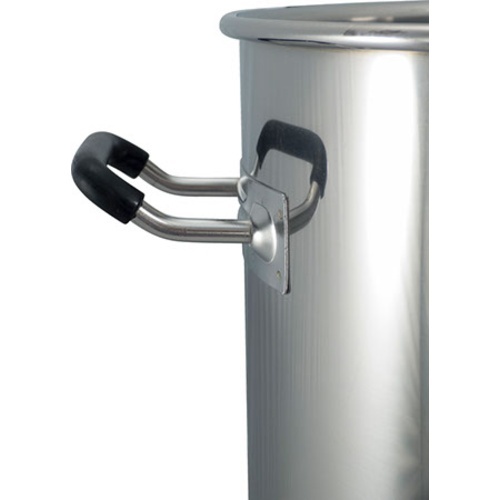 The kettle is well built, for the price its great, its thick enough to weld on, and has a single layer bottom, making it ideal for bottom drain kettles. I would like to have ordered it with no welded bungs. In Cali Morebeer gets orders out fast.